How can I access the mobile browser? Click here to access the mobile browser using the same access ID and password you set up on the Academy Bank Online Banking site. Not currently enrolled in Online Banking? Sign up today! First, download our mobile application from the app store that you are familiar with. 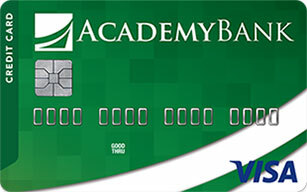 After the application has been installed on your phone, you can use the same access ID and password you set up on the Academy Bank Online Banking site. Not currently enrolled in Online Banking? Sign up today!